Chief Academic Officers (provosts, deans, vice presidents for academic affairs) play pivotal roles in situating internationalization within the academic agenda of their institutions, a task made more complex but also more necessary by the increasing emphasis on accountability and transparency in higher education. Senior International Officers in turn must seek to understand the competing priorities of Chief Academic Officers, and use this understanding to (re)frame campus internationalization goals so that these complement and extend Chief Academic Officers’ initiatives. The purpose of this series is thus to shed light on the internationalization of higher education from the perspectives of the individuals responsible for the academic functioning of colleges and universities. The series hopes to capture Chief Academic Officers' thinking and actions, to learn from their successes, and, as importantly, to learn from the constraints they and their institutions have faced in their internationalization endeavors. 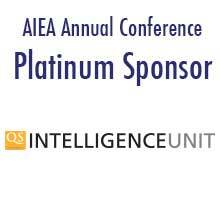 Ultimately, AIEA hopes that the series will be informative for both Chief Academic Officers engaged in furthering the internationalization of their institutions and the Senior International Officers whose responsibility is to inform and support this work. The pieces in this series are deliberately kept brief in order to provide key examples and lessons. Most take the shape of an interview (rather than a formal essay) to allow the individual voices and experiences of the respective Chief Academic Officers to be heard. Questions about the series and making a submission can be addressed to the AIEA Editorial Committee Chair, Teresa Wise ([email protected]).